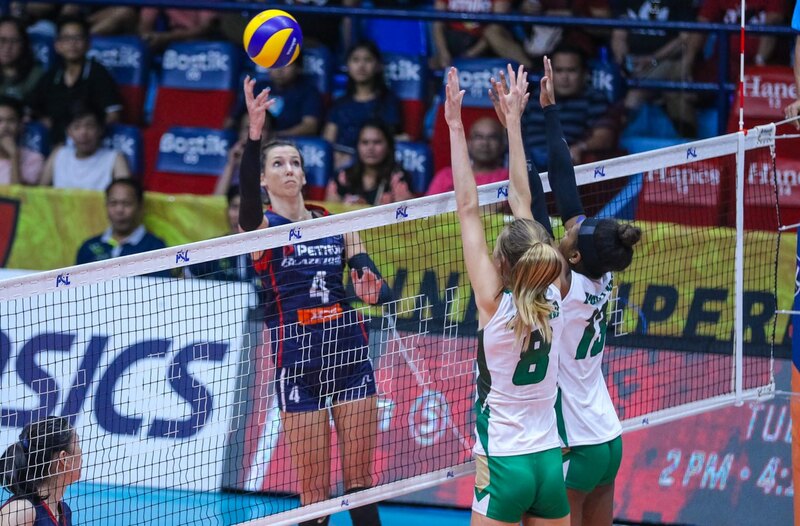 Reigning champion Petron displayed its might as it demolished Sta. Lucia, 25-17, 25-11, 25-19, in the quarterfinals of the Philippine Superliga Grand Prix at the Filoil Flying V Centre in San Juan. American imports Kath Bell and Stephanie Niemer were at their best, lifting the Blaze Spikers to their 15th straight win and into the semifinals of this prestigious women’s club league bankrolled by Asics, Mueller, Mikasa, Senoh, Team Rebel Sports, Bizooku, UCPB Gen, Cocolife, Hotel Sogo and Data Project. Petron will face the survivor between Cignal and United VC in the best-of-three semifinal showdown starting next week. 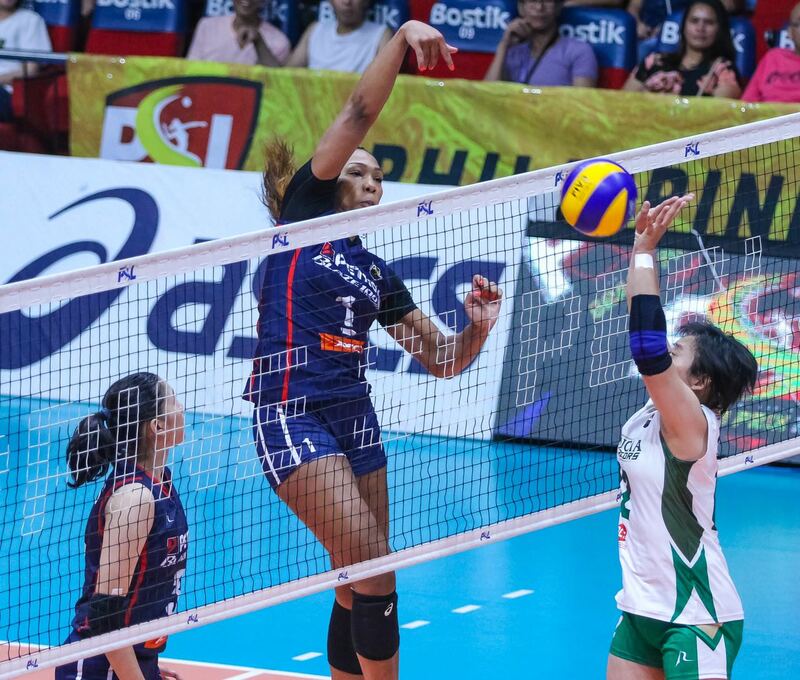 Bell delivered 19 points and 17 digs while Niemer chipped in 16 markers for Petron, which needed only 79 minutes to wrap up this contest that has ESPN5 and 5Plus as broadcast partners. “We’re very happy that we’re now in the semis. But, of course, the road ahead will be a lot tougher,” said Petron coach Shaq Delos Santos, who is on the verge of becoming the second coach who swept the entire conference en route to the title. Casey Schoenlein delivered 12 points for Sta. Lucia, which shut down its campaign with a 2-13 win-loss slate.